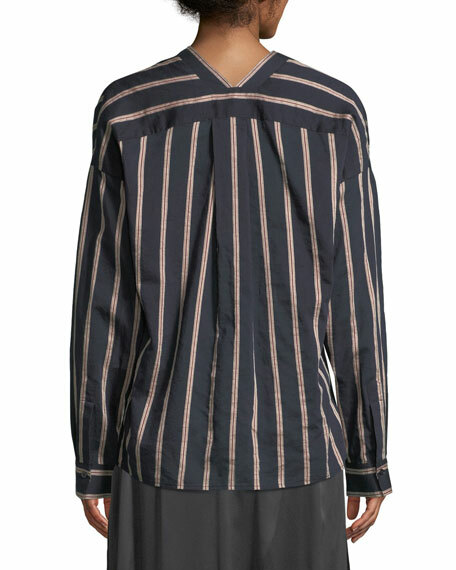 Derek Lam woven blouse. Split neckline; light pleating. Sleeveless; full shoulder coverage. Slim silhouette. Straight hem. Yoked back; center pleating. 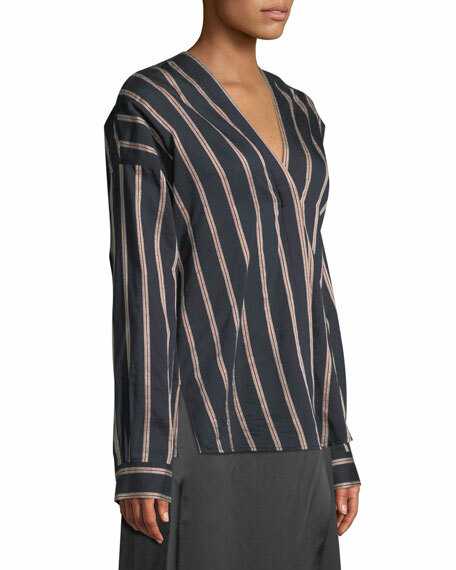 Derek Lam woven blouse. Split neckline; light pleating. Sleeveless; full shoulder coverage. Slim silhouette. Straight hem. Yoked back; center pleating. Silk; dry clean. Imported. Model's measurements: Height 5'10"/177cm, bust 33"/84cm, waist 25.6"/65.2cm, hips 35.8"/91cm, dress size US 2-4/FR 34-36. 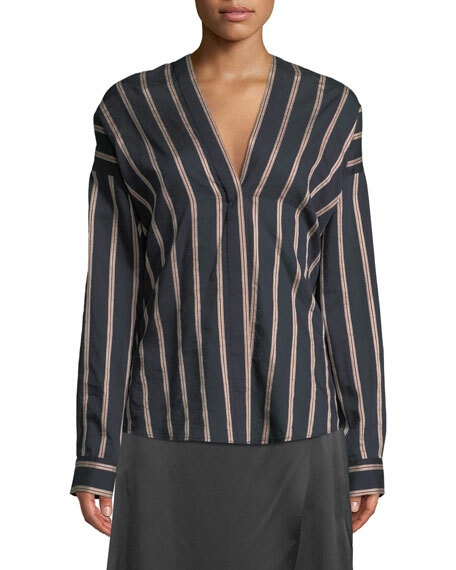 Gabriela Hearst "Juan" henley blouse in gauze. Crew neckline; hidden button front. Long rolled sleeves. Relaxed fit. Shirttail hem. Virgin wool/cashmere. Made in Italy. Model's measurements: Height 5'10"/177cm, bust 31"/79cm, waist 24"/61cm, hips 34"/86cm, dress size US 2. Johanna Ortiz "Bulerias" cami in gathered satin. Square neckline. Sleeveless. Banded waist. Fit and flare silhouette. Peplum hem. Dramatic, draped side. Cotton/spandex. Dry clean. Imported. Model's measurements: Height 5'10"/177cm, bust 32"/81cm, waist 24"/61cm, hips 35"88cm, dress size US 2/4.